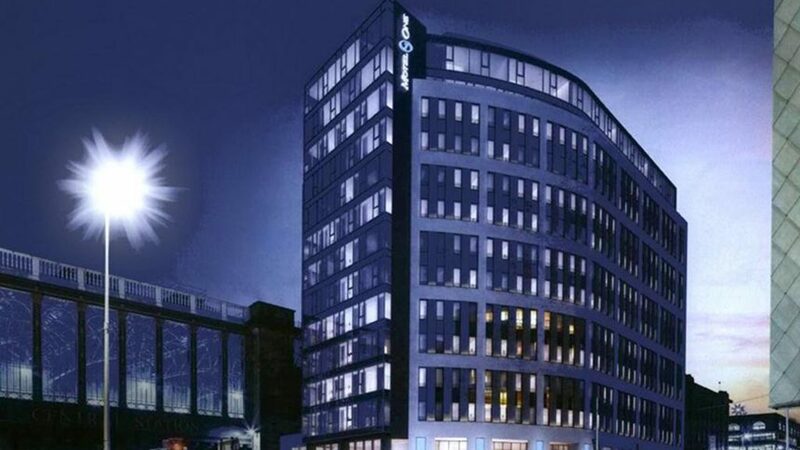 This new hotel for Motel One, is located on a busy Glasgow city centre junction, providing 12 storeys of 374 bedroom accommodation beside Glasgow Central, Scotland’s biggest train station. A double height entrance foyer provides a bright public lounge with views up Argyle and Hope Street, whilst at the upper levels the efficient concrete slab allows tighter floor to ceiling heights, providing more accommodation within the permitted building height. The design proposals comprise a reinforced concrete framed structure onto a piled raft foundation. Post-tensioned concrete techniques were utilised for the floor slabs to provide a slim structural zone with flat soffit, allowing an optimum floor to ceiling height with flexible services integration. Concrete blade columns were designed to be concealed within the wall make-up and provided to site as precast, to speed up the overall construction. The tight City centre site and sensitive boundaries provided the greatest challenge in the design and construction. 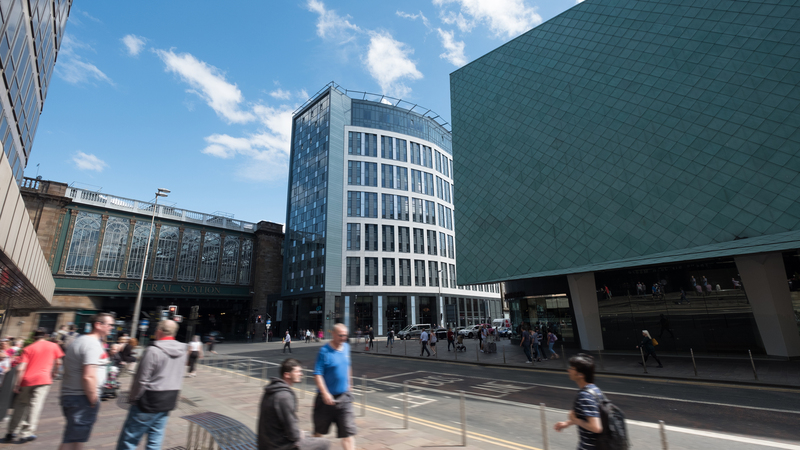 The site is bound to the West by Glasgow Central Station; to the North by Argyle Street Train Tunnel; and to the South by Midland House – with the new structure built up to the limits of these façade boundaries. Working closely with the piling contractor, a cantilevering substructure system was developed, founded on over 450 micropiles. Disruption to neighbouring infrastructure was mitigated during construction, and surcharge loads onto the existing tunnel and building foundations, were avoided. Selection of piling type, monitoring of vibrations, and careful coordination of temporary works for both substructure and superstructure were key in reducing the risk of any effect on these structures of the new construction. 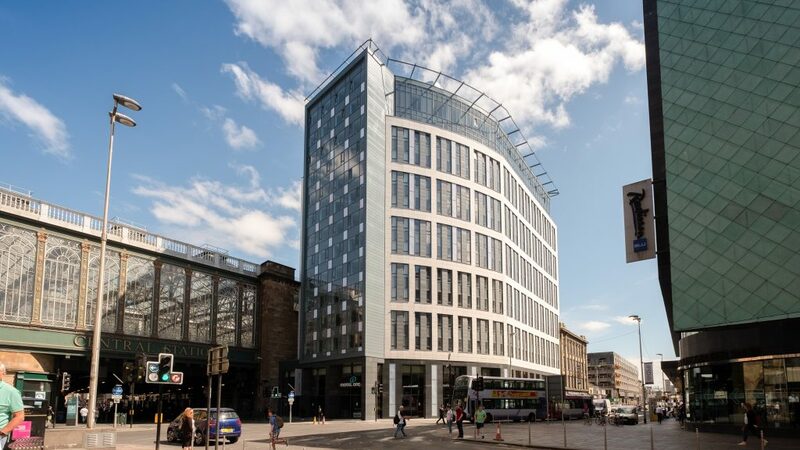 Collaborating closely with all disciplines, consultants and subcontractors has permitted the delivery of this ambitious new addition to Glasgow’s expanding hotel sector.